Cuddle up on the beach and watch the sunrise and sunset… both are spectacular. Walk undisturbed along the deserted beaches under the moonlight. Toast each other with Champers under the fairy lit pergola after a scrumptious home-cooked BBQ. Play your favourite music and reminisce. Fall gently asleep to the lilting sound of waves on the rocks. Be still. No one rushes here. Calm your mind with the white noise of the waves and tides. Refresh your senses. Listen to birdsong above you in the trees. Eat healthily, sleep well. Exercise. Relax. The Beachshack will be the beginning of your recovery. Re-prioritise. Find yourself again. Head off in the kayaks around the waterways of Port Hacking. 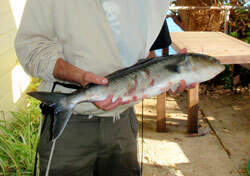 Snorkel in our underwater caves and find amazing fish. Take underwater photos. Hike along the Coastal track or bushwalks. 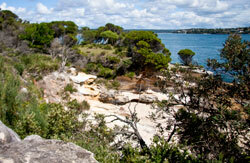 Jog along the 4 beaches of Bundeena. Bush walk to Maianbar and back. The Beachshack owners are very involved in the art and creativity scene in Bundeena. They are happy to assist you to link in to the local Art Trail, (1st Sunday of the month), meet local potters, woodworkers, sculptors, painters and photographers.We can suggest some amazing locations for drawing or the perfect photographic-opportunity. Follow the Heritage Trail though the village, trek through Bonnie Vale and the bush trail to Maianbar. 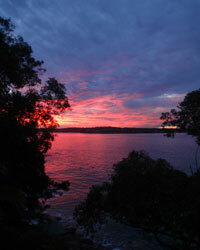 Explore some of Port Hacking on the kayaks. Visit the Dharawal rock carvings and middens, then head on through to the coastline. Visit the Royal National Park shop on your way here across the Audley weir to pick up maps. Head off onto the walking trails of the Royal National Park. Don’t forget slip, slop, slap! Indulge in a gourmet breakfast in one of our cafes, or ask to have a picnic hamper packed for you (book ahead). A tasty menu, well priced and beautifully served, is available at the RSL overlooking Gunyah Beach and “Gourmets” Chinese banquet awaits you at the Bowling Club. Fresh baked bread is available at the Servo… what more could you want! 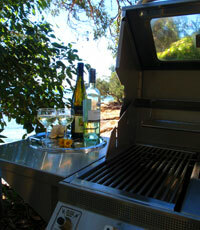 Cook your own feast on the Beachshack BBQ, otherwise, hop on the Cronulla Ferry and explore the hundreds of eateries there.